If you are not part of a Showroom Owner's Account/Team but are invited to help collect orders while part of a different Account/Team, you would be considered an "Outside Rep" for that Showroom. As an Outside Rep, you maintain some privacy. Your Customers List is only shared with members of your Account/Team and not other Accounts/Teams. As an Outside Rep, you can control when to share your collected Orders with the Showroom Owner's Team. This allows you to decide when they see your Orders. Access the Order Settings page of the Showroom Settings. See Order Settings for more info. Don't allow Showroom to see your Orders in the system at all. 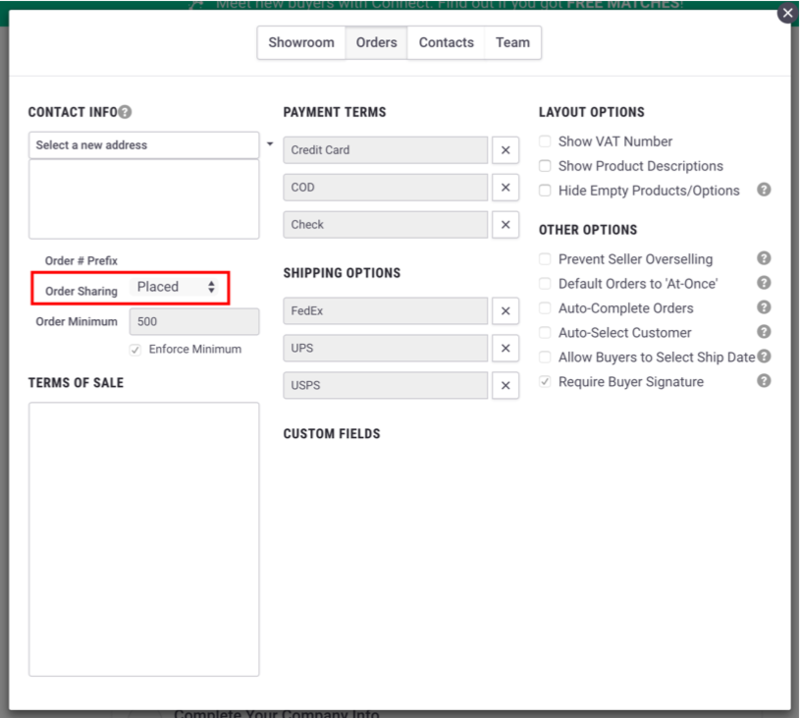 You will need to manually share your Orders with them outside of Brandboom. Allow the Showroom to see your Orders as soon as they are started as Open Order drafts. Allow the Showroom to see your Orders when they are placed (Processing). Only allow the Showroom to see your Orders when they've been set to Complete. This gives you extra time to review an order after a Buyer places it, before handing off to the Showroom.